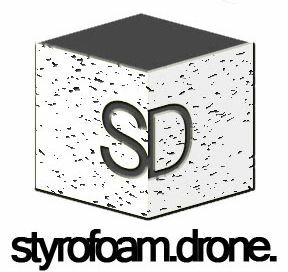 Posted on December 26, 2012 by styrofoamdronePosted in Lists, LP, ReviewsTagged 2012, best of, full length, Lists, LP. that’s a nice list too, there’s a few things on there I definitely need to check out. if only we all had a little more time! YES to the Sic Alps album Kevin, it’s on my repeat list, as well as Putrifiers II. Shocked to see them shut out here. I agree with your top, Zac ! But didn’t you listened Allah-Las ? Jean Gary: Well, as with everything in life, taste in music is subjective. I wanted to represent the different styles of the Allah Lahs without relying on the obvious hits like “Don’t you Forget It”, “Tell Me What’s on Your Mind” and “Catamaran”. I really feel that these two songs are a good representation of their sound without posting the same songs that seem to be on every other blog. Thanks for stopping by Eclectic Grooves to check out the list. Hehe, no problem. You’re right, all is subjectif. My favorites are not the ones you quote, but Sacred Sand (it lets me dream !) Maybe Ela Navega isn’t the worst (because it’s a negative word and neither song is bad on the LP), but the one i like the less. I’ll definitely check back here on a regular basis for more good stuff in 2013! who? 😉 posts start again at the beginning of next week! no bands, artists, labels or whatever were ‘shut out’ here either. we all listen to different stuff, that’s all! I definitely didn’t mean it as if you were shutting anything out. But the thing is that it’s been difficult to scroll through a best of list anywhere without coming across those acts (constantly at the very top). This is more my thing. Appreciated!